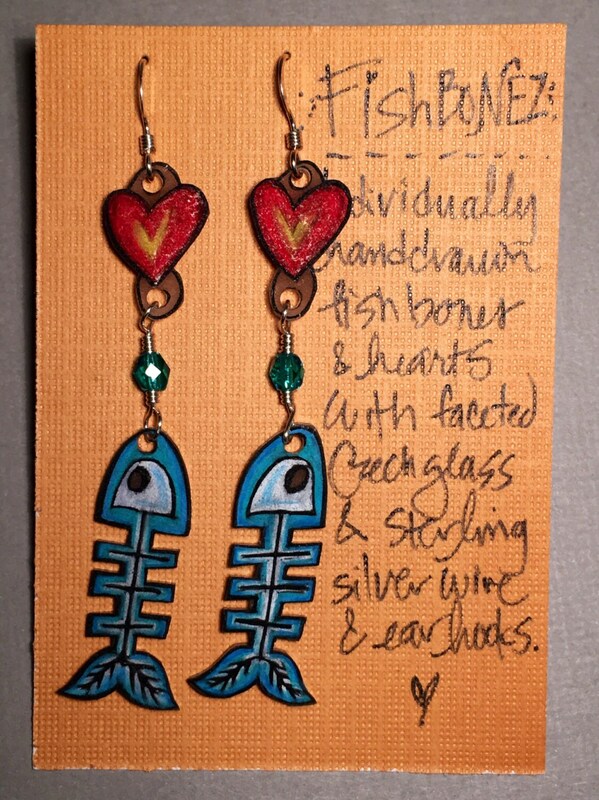 Hand drawn hearts and fish with sterling silver ear hooks and wire with Czech glass beads. These "illustrated jewelry" pieces are one of a kind. 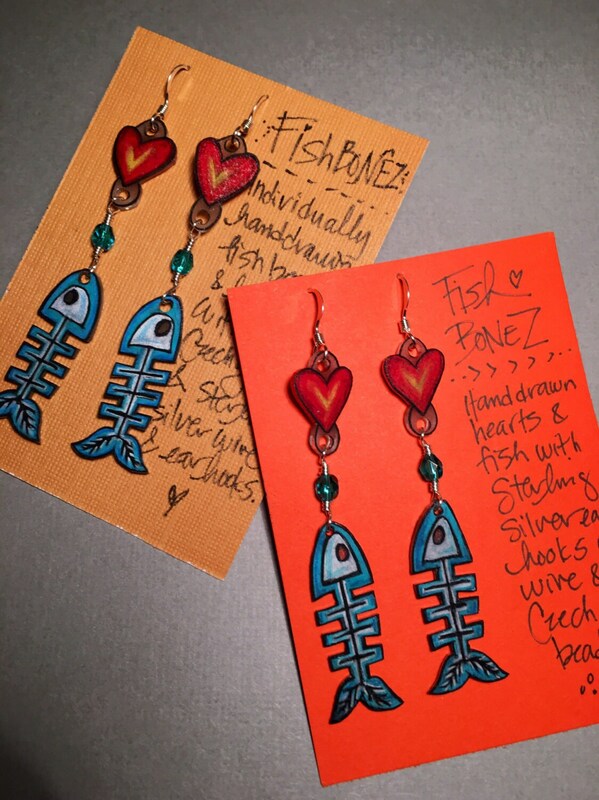 These earrings hang proximately 2 1/2 inches in length, and come with a hand written description card and a box.